What makes Spice Hut different when it comes to teas? 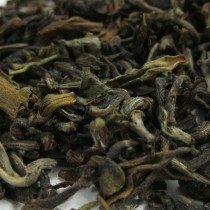 We carry the same famous blends and traditional teas as the larger companies, but we have one thing that they don’t; the ability to only offer the highest quality teas on our shelves. All of our teas are scrutinized upon arrival, and if it doesn’t pass muster, it doesn’t get sold. This is quality that you can see. I was thinking to myself the other day about what actually makes it into tea bags. I was amazed at what came out! This is an extreme close-up, but you can still see the very small dust-like particles that come out of that bag! It would be nearly impossible to tell you what is actually in that tea just by looking at it. The main difference between loose teas and bagged teas is the size of the leaves. That’s what effects the resulting cup of tea. Tea leaves contain chemicals and essential oils, which are the basis for the delightful flavor of tea. When the tea leaves are broken up, those oils can evaporate, leaving a dull and tasteless tea. Typical tea bags are filled with the tiniest pieces of broken leaves, called fannings. Here is one of our teas to compare. Here we can see the all the large and intact leaves. Which would you rather drink? To me, the answer is simple. This really is a difference you can see. Not only will our teas offer better flavor, you will also get more out of them. Our loose teas are good for two to three steepings, you really get more bang for your buck any way you look at it.